Over the last two decades, activists in the United States have been experimenting with new politics and organizational approaches that stem from a fusion of radical political traditions and liberation struggles. Drawing inspiration from women of color feminism, justice struggles in communities of color, anarchist and socialist movements, the broad upsurges of the 1960s and 70s, and social movements in the Global South, a new generation of activists has sought to understand the past while building a movement for today’s world. Towards Collective Liberation contributes to this project by examining two primary dynamic trends in these efforts: the anarchist movement of the 1990s and 2000s, through which tens of thousands of activists were introduced to radical politics, direct action organizing, democratic decision making, and the profound challenges of taking on systems of oppression, privilege, and power in society at large and in the movement itself; and white anti-racist organizing efforts from the 2000s to the present as part of a larger strategy to build broad-based, effective multiracial movements in the United States. 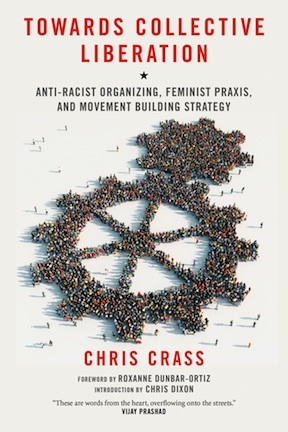 Offering rich case studies of successful organizing, and grounded, thoughtful key lessons for movement building, Toward Collective Liberation is a must-read for anyone working for a better world.